Are you eagerly awaiting the arrival of Michael Jackson's This Is It? I did not get to see it at the movie theatre but my Mother did. That is so unfair but the story is actually kind of funny, too. My mother and stepfather went to the movie theatre hoping to see Inglorious Bastards. They arrived and the clerk at the booth said that the movie that they wanted to see was gone but that 'It' was playing. Having no idea whatsoever about what the heck 'It' was, they turned around and left. And so did the other older couple that had followed them into the lobby. Only when they reached the street and could see the movie posters did they realize that 'It' was Michael Jackson's This Is It. When they figured that out, both couples turned around and went back into the theatre. While waiting for the blu-ray to become available, you might enjoy some of the rare VHS videotapes of Michael Jackson that are still available. You can read all about them at my page, Rare Michael Jackson Videos. So meanwhile, I am waiting to see Michael Jackson's This Is It blu-ray movie. How about you? Did you see it or are you still waiting like I am? Are you going to rush right out and buy it? Have you considered pre-ordering it from Amazon? That's always a safe bet because of their pre-order price guarantee with the price already discounted 40 percent off the suggested retail price PLUS they'll deliver it right to your front door. 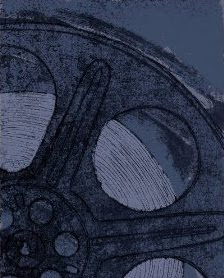 I find it interesting that the DVD was available before the blu-ray (which will be available on January 26, 2010.) I hope that means the blu-ray is going to have some great extras. 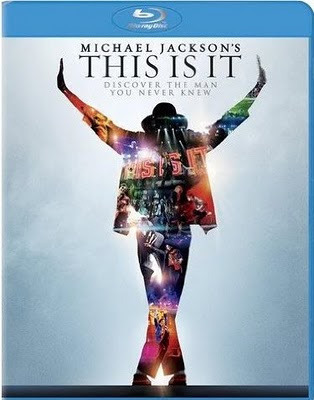 Preorder Michael Jackson's This Is It Blu-ray Movie from Amazon. Great looking blog and perfect for all your movie reviews!